What is ‘Resistance to Read’ in workplace? Have you ever come across that a nicely designed book or newspaper infographics which draws our attention and engagement quickly? On the contrast, don’t we feel tired and boring to read and understand a detailed Standard Operating Procedure in our workplace? In fact, every time we really don’t need to know everything in details. Organisations nowadays are facing real challenges to making people read the SOPs even after being made so meticulously. There is a serious issue of ‘Resistance to Read’. The need for something easy and visually attractive arises to reduce the Resistance to Read. 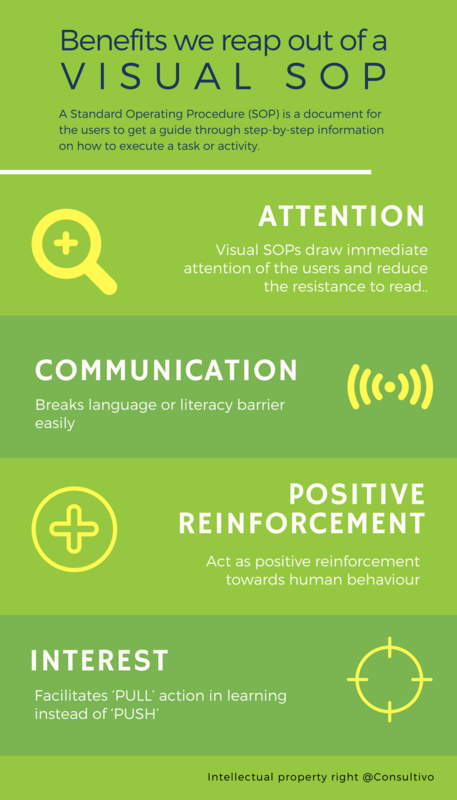 Visual SOPs serve a Positive Reinforcement towards the users behavioural aspects. It’s a type of SOP format developed with pictures, sketches, diagrams & infographics with minimum text count. This visually-enticing tool of SOP communication primarily aims to ease the basic understanding of the SOP by grabbing the quick attention. 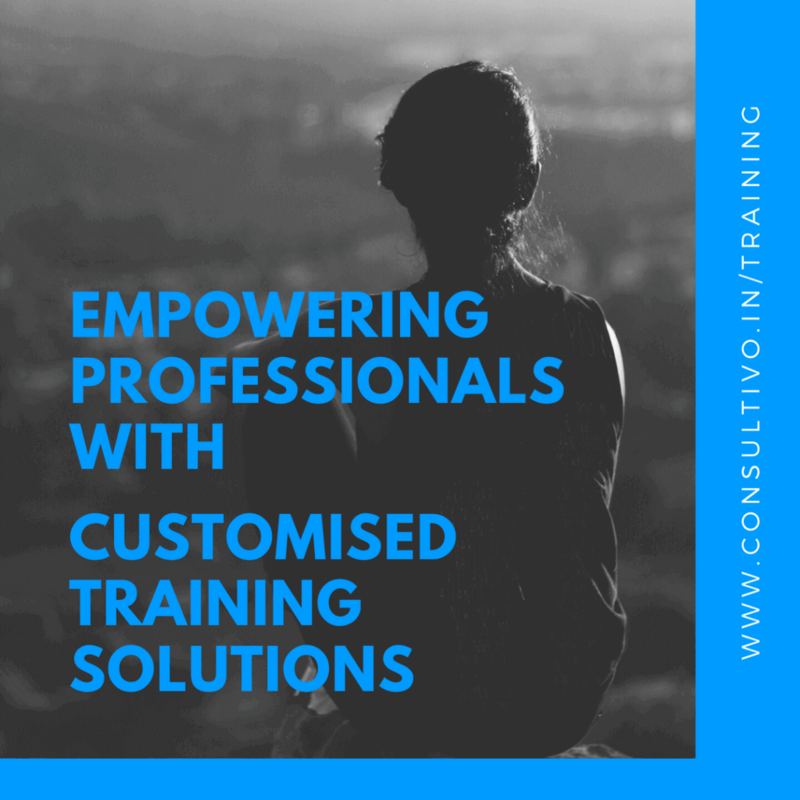 It thoroughly navigates the user through the tactful use of graphics & effective design pattern to increase the retention & understanding of the SOP. Is it a child’s play? No. Is it all about colour pallet & photos? No. Is it a rocket science? Definitely not. 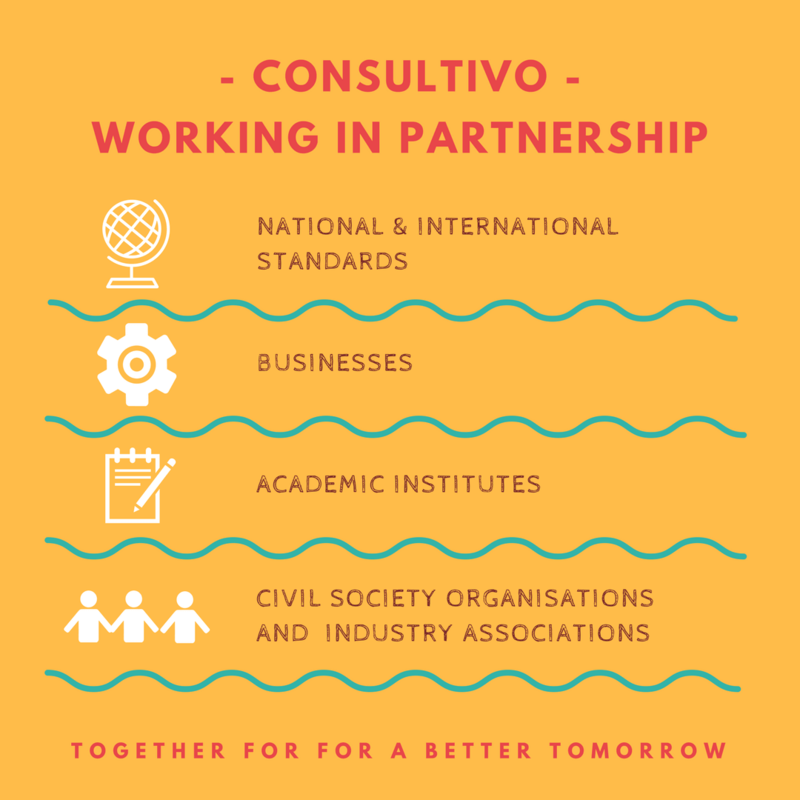 How do we design visual SOP in Consultivo? Have a look at how do we start from the scratch and develop a visually appealing SOP which creates an impact. First thing first. 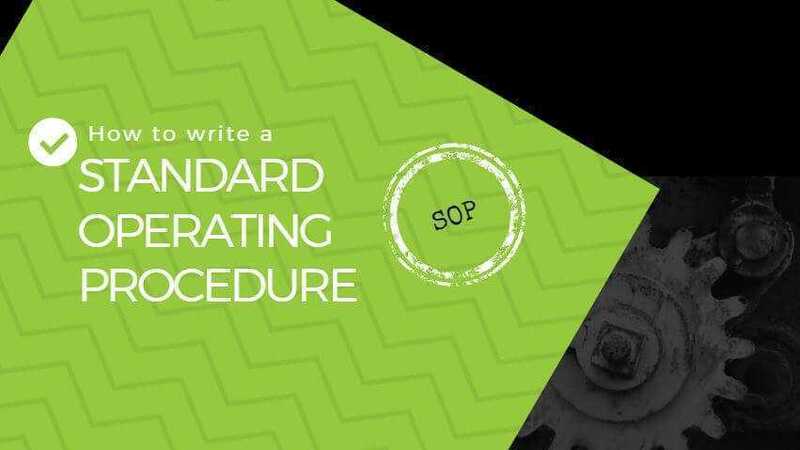 Starting off with the content & layout – the detailed standard operating procedure needs to be developed. Then, chalking out & freezing the communication points (focus areas or highlight points) for that particular SOP which needs immediate attention of the users and increase the retention value. Make it unique! These communication points are then illustrated through certain visual impacts which may include pictures, sketches, infographics, colour contrast, taglines etc. maintaining a visual hierarchy. Do not include more than 3 – 6 points in one single visual SOP. Human brain can capture only that much at a time. RELATED CONTENT: Want to explore?